Switch out your Joy-Cons for a more ergonomic solution with the Wireless Core Controller for the Nintendo Switch from Nyko. 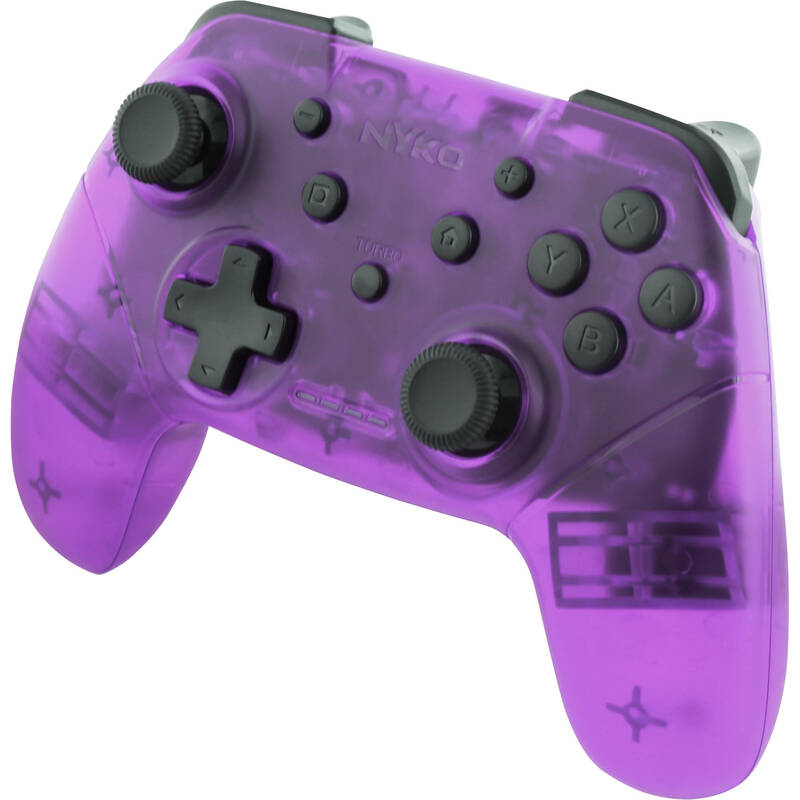 Compatible with your Switch via a wireless Bluetooth connection, it's also compatible with PCs and Android devices. It's built with a gyroscope for games that support motion controls as well as vibration feedback. With up to 20 hours of game time, it can be recharged using the included USB Type-C cable when power is running low. For an additional hand in some games, you can use its programmable turbo button to turn on turbo functionality for any face buttons or triggers. Note: The Wireless Core Controller does not contain an NFC reader. Wireless Core Controller must connected via a Type-C cable when being used on PC. Box Dimensions (LxWxH) 7.15 x 6.55 x 2.85"